This post is long overdue! I've been meaning to post about my Leeloo Soap haul since I picked these items up... right before Christmas (yikes!). 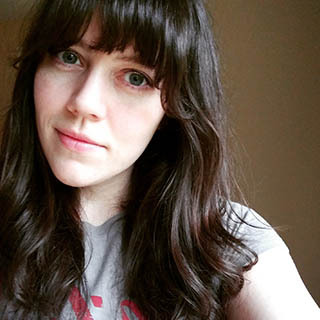 Unfortunately my life took a crazy turn of unexpected personal events, including a major injury that left my husband couch bound for several months. I will say despite all of that added stress I was able to thoroughly enjoy everything except for the bath bombs. By the time I was ready to use those it was already too hot for a bath. 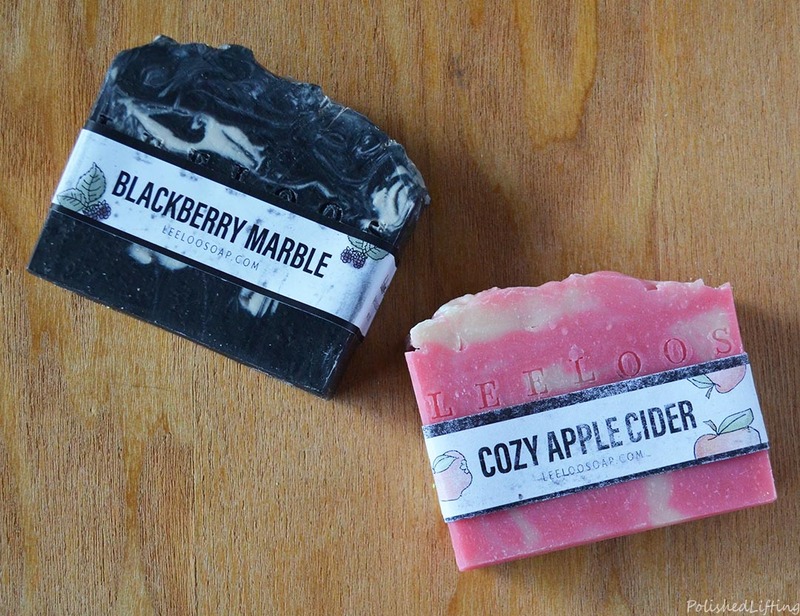 What this photo doesn't show is the additional bars of Blackberry marble and Cozy Apple Cider soap. These were my top soap scents from Leeloo last winter, so I purchased an additional bar of each for my mom. Each bar of soap is handmade and weighs in around 5oz. Both the Blackberry Marble and the Cozy Apple Cider scents are pleasant and perfectly scented. They leave you smelling fresh without overpowering the senses. These soaps are high quality and stand up to being left in the shower over long periods of time. They don't crumble, and the scent lasts to the very end. I've found that these bars tend to last me around a month each. 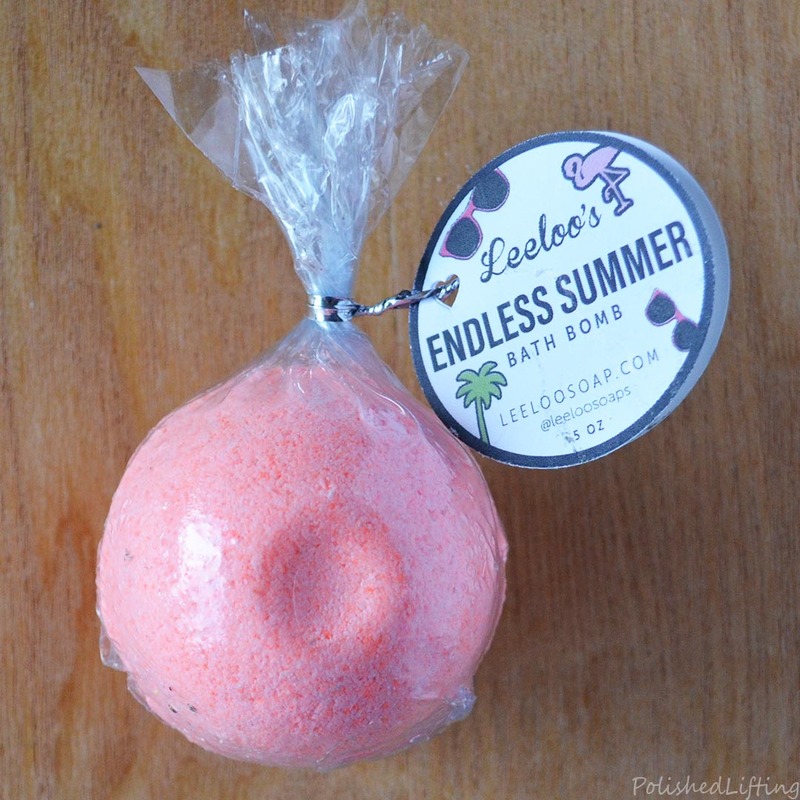 While I have not tried these specific Leeloo Soap bath bombs yet, I have used her bath bombs in the past. The major difference I noticed was that she started shrink wrapping her bath bombs. I believe this will extend the shelf life and will help prevent unwanted moisture during storage. I picked out the Endless Summer and Pineapple scents because they were bright and cheerful. 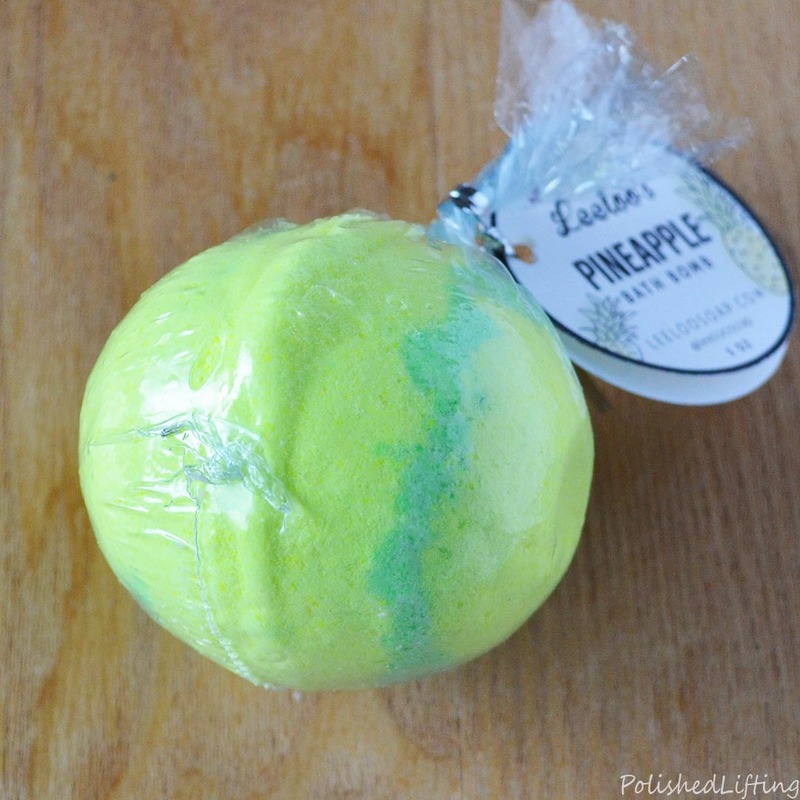 I love tropical scents year-round, so these were a great addition to my bath bomb collection. One of the newer products to come to Leeloo Soap are these cute bubble bars. 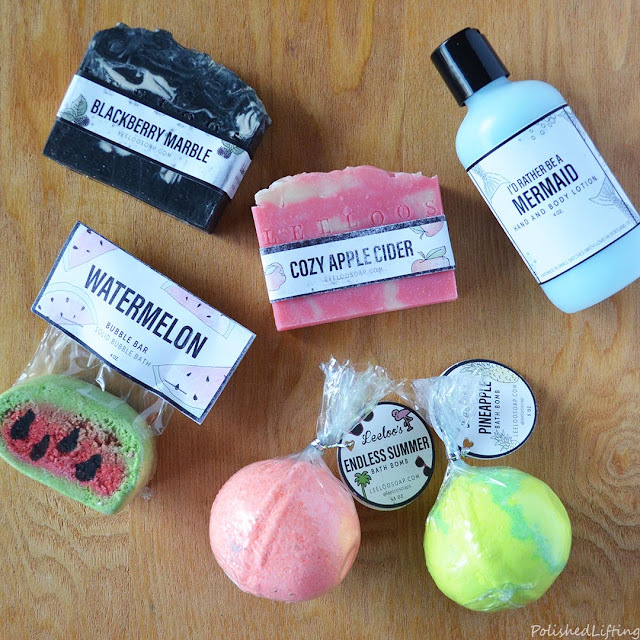 I picked out watermelon since it's one of my favorite scents. 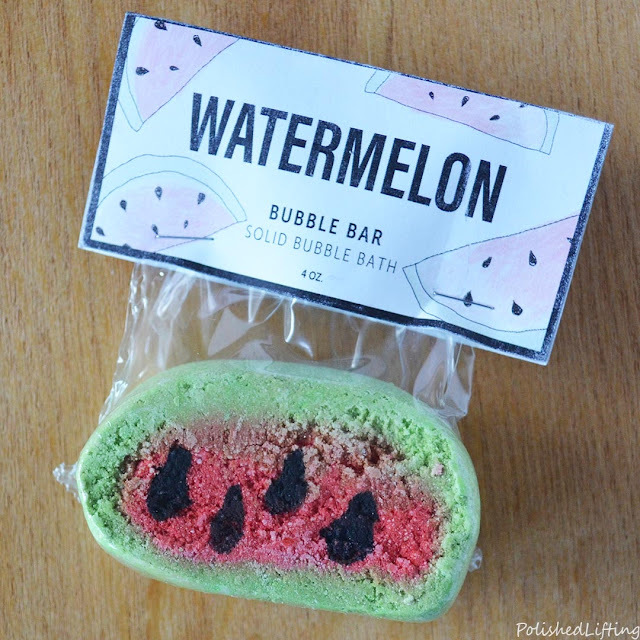 This smells like fresh watermelon. I used a quarter of the bar and ended up with way more bubbles than I knew what to do with. Instead of trying to take a bath and clean your bathroom floor simultaneously, I recommend using about a fifth of the bar for a standard size tub. Another newer item to Leeloo Soap are the hand and body lotions. This was gifted to me when I visited Janah at the Portland Night Market last winter. 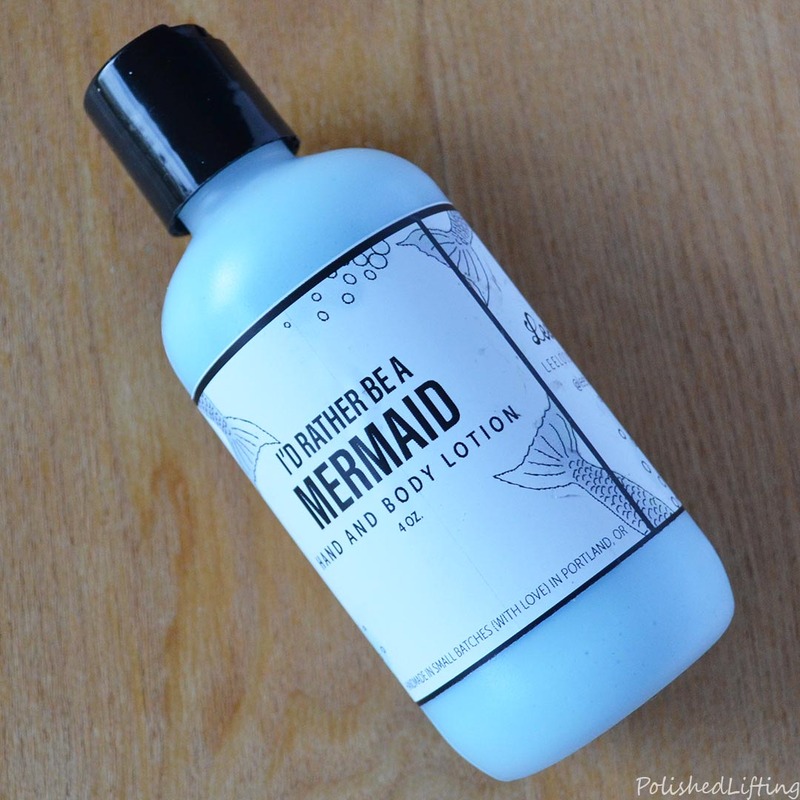 My hand and body lotion is in the I'd Rather Be A Mermaid scent. I believe this has since been renamed to Mermaid Tails according to the scent description on her website. 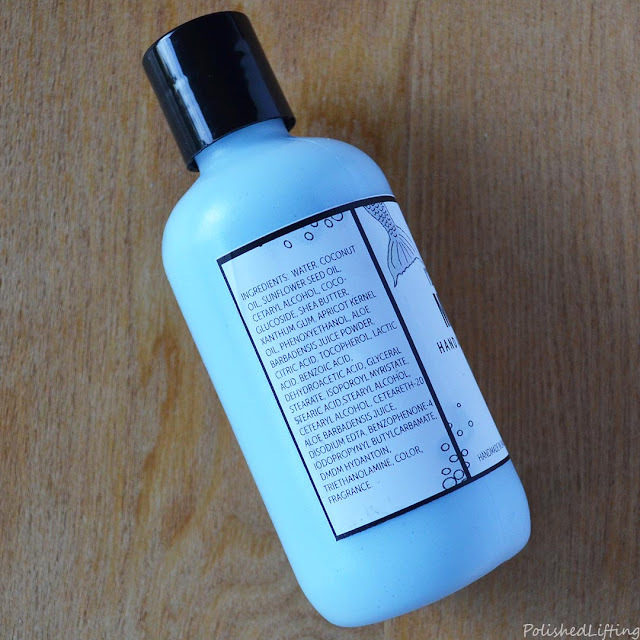 The scent is a light mixture of citrus, bergamot, agave, cucumber, cyclamen, and sandalwood. I've been testing this over several months and found that a little goes a long way. The consistency is on the thin side making this lotion hydrating without leaving you feeling greasy. Most of the items reviewed in this post are currently available for purchase on her website. I believe the soap scents are seasonal so you might want to check back in the autumn. I am quite sad to say that Janah and Leeloo Soap have moved from Portland, OR to Philadelphia, PA. While that bums me out, I will forever be a Leeloo Soap fan. If you would like to purchase any of the items mentioned in this post be sure to check out the links below. If you enjoyed this post you might like Handmade in Oregon - Leeloo's Soap and Leeloo Soap Sugar Scrubs.